A lot of modern women like the glamorous and elegant look of acrylic nails. Such nails are carefully affixed to your natural nails with special glue and remain strong and well-groomed for a long time. But how long do acrylic nails last? Of course, it depends. But, generally, it is about a month. 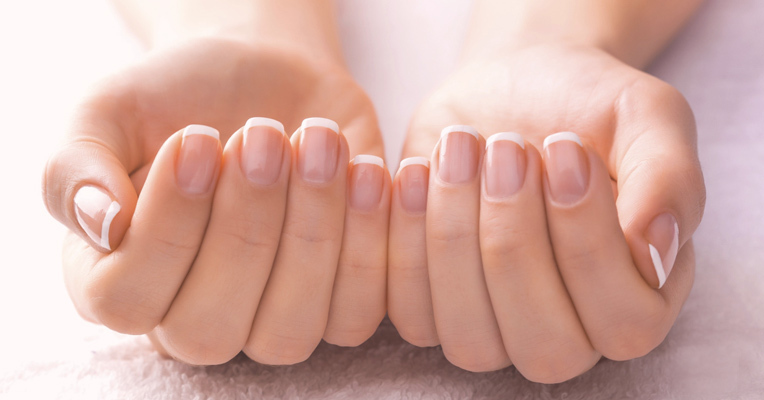 Your natural nails are continuously growing and there comes the time when you need to take your acrylic nails off. Reading this article, you will get some useful tips on how to remove fake nails with minimum efforts and without going to a salon. Before you start, note that this is a process time-consuming and plan your day thoughtfully. 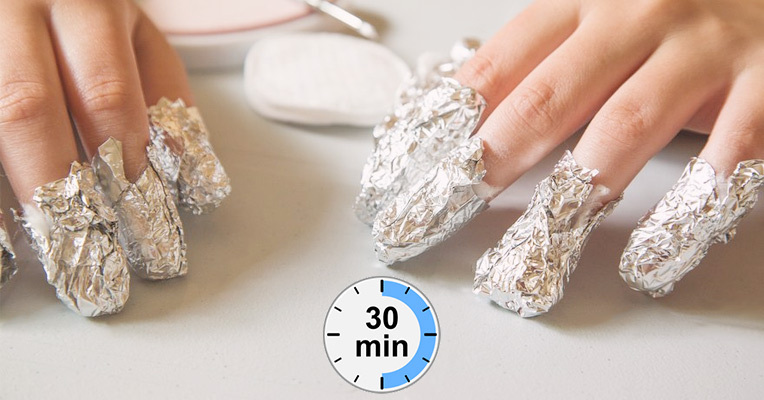 So, here is an easy way to get acrylic nails off. Well, how to take off acrylic nails at home? 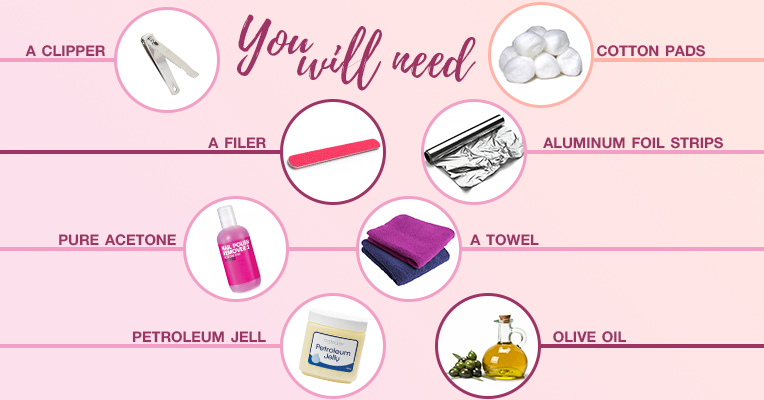 You will need to have a clipper, a filer, pure acetone (or a nail polish remover of good quality), petroleum jelly, cotton, aluminum foil strips, a towel, olive oil (or some good lotion). The first thing you should do is cut your nails. It is quicker and easier to work with short nails. Then, file off your acrylic nails with a filer. Thus, the acetone will affect the acrylic sooner. Acetone damages the skin, so it is very important to support it. 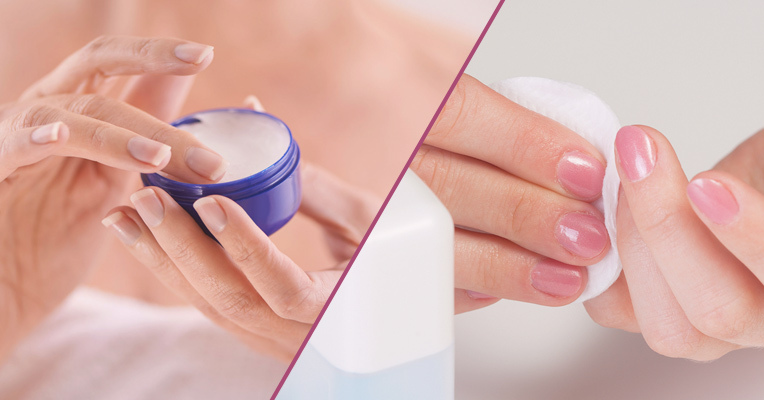 Apply some petroleum jelly on the fingers and skin around your nails. 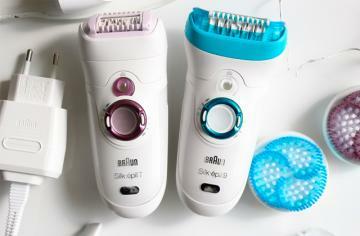 This will prevent the skin irritation, especially if there are some burrs. Heat acetone and dip your fingers there. Or you can soak the cotton wool ball (one for a nail) in heated acetone, place a ball on a nail and wrap it with a strip of aluminum foil. Leave it for 30 minutes. It is really an easy way to get acrylic nails off. After that, remove your fake nails with care in order not to spoil your own nails. You could use a stick of orange tree to gently lift the nails. If the acrylic is hard to remove, it is advisable to put your hands into the vessel with warm acetone for some time longer (about 20 minutes). In the end, soak the cotton with the polish remover and take off the glue remains. Also, you could use the filer. Acetone dries the skin very much, so you need to moisturize it. 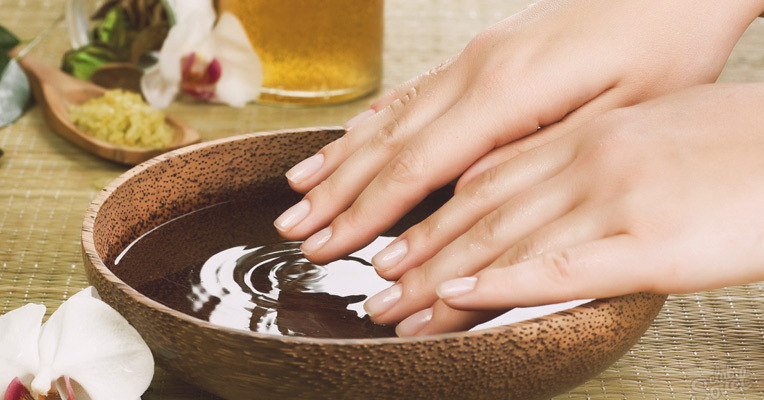 When you have washed and dried your hands with a towel, apply some olive oil to restore the skin. 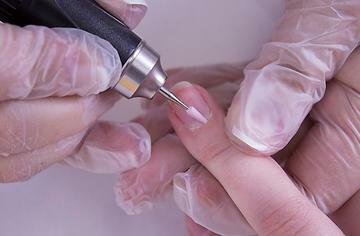 Now you know what takes off acrylic nails and how to remove them at home. 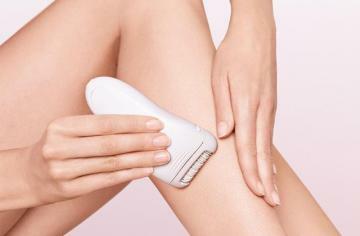 Just keep in mind that you should do everything very carefully and nourish your skin after applying aggressive agents. 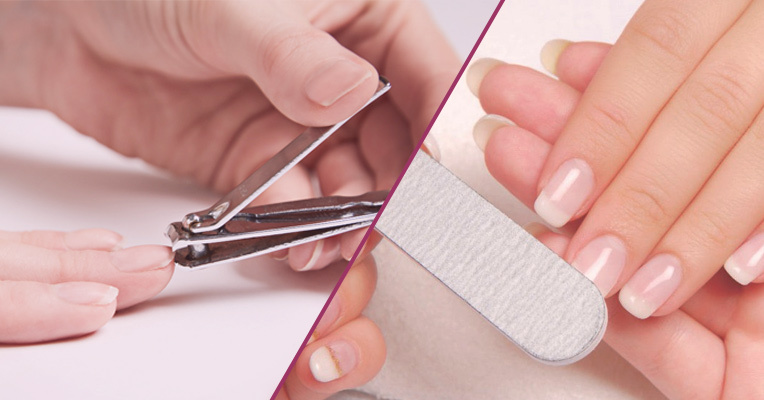 And, of course, choose the way to remove fake nails which is best for you.